Harman Singh made my day yesterday. His selflessness touched me. He removed his turban to help stop the bleeding of a head wound of a child who has just been hit by a car. He acted without thought. You might be thinking how kind but it goes further than that. Harman is a Sikh. 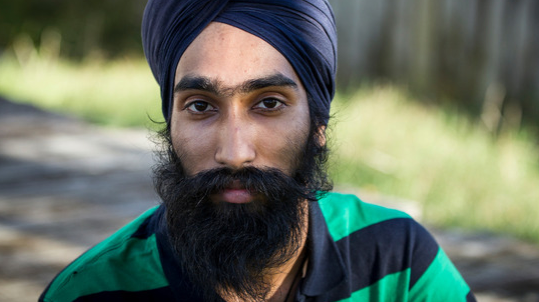 Sikh men wear turbans for religious reasons. Aside from covering hair the turban or dastar represents honour, self-respect, courage, spirituality, and piety. They never show a bare head in public. Look before you leap doesn’t always match the ocassion. Sometimes it is better to leap before you look. Perhaps he has read W. H. Auden? Thank you Harman for caring. It’s always so nice when people show such selflessness. Absolutely. Nice to see reporting good deeds rather than doom and gloom.